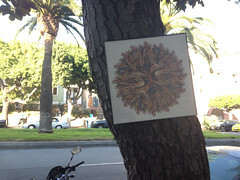 An odd piece of framed art recently appeared on a tree on Dolores Street. How artreestic! 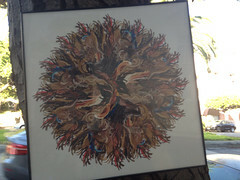 Click the images for a larger view.